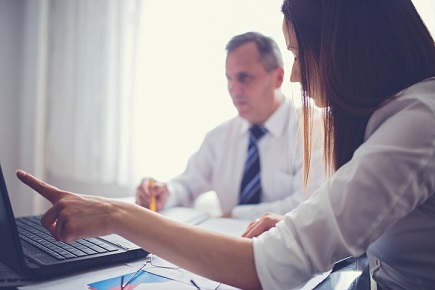 When it comes to managing and understanding data, the insurance sector has often led the way. It was one of the earliest to start hiring staff specifically to maintain databases - something which is now common practice - and has a model almost exclusively built around statistics and knowing its customers. Despite this though, insurers haven’t been so quick to get on board with marketing automation. For many, the concept of adapting and personalising communications across a broad target audience spanning different generations, niches and products is still a major challenge. Because of the huge number of variables, from renewal dates to individual customer knowledge, switching over from manual processes can sometimes seem like an almost impossible task. But the insurance sector is one that could benefit greatly from marketing automation, which can help providers improve lead generation and tailor the journey to the individual needs of each customer. To cut through the noise and successfully market to prospects, insurers and sales teams need to make their communications bespoke for the recipient. ‘Marketing automation’ makes some think of mass emails, but it actually shines the most when it comes to personalisation, and artificial and predictive intelligence will play a bigger and bigger role in the space over the next few years. Marketing automation platforms can help process databases and produce meaningful insights for the many segments insurance companies target, such as when customers are online and what their preferred channels are. A good platform must then be able to turn this insight into action, using the customer data to tailor communications in the best way. Doing this translates into higher sales effectiveness, more inbound and outbound leads, and increased customer loyalty, all while minimising work involved and the need for costly reporting. It can be integrated with many other areas of marketing too. A properly adaptive journey not only encompasses email, but also engages the customer via SMS, banner and social media ads - wherever it will work best for them. A good multi-channel marketing strategy in itself can be a way for insurance companies to differentiate themselves, making their messages seem more relevant and timely than those of their competitors, all while supporting the brand direction. Physicians Insurance, a provider of liability insurance for physicians, clinics, and hospitals in the US, used marketing automation to implement three monthly newsletters for customer retention. The first provided resources to help companies reduce the risk of medical errors, the second delivered thought-leadership content, and the third was sent to brokers to educate them and support in servicing clients. Since its adoption, Physicians Insurance has had a 95% customer retention rate - significantly higher than the industry average of 84%, according to the IIA. While more efficient use of resources - particularly time - and increased performance stats were an important driver in adding marketing automation to their marketing mix, Physicians Insurance saw the most value in being able to engage prospects with meaningful content at the optimum time. Their targeted communications led to open rates as high as 31% for existing clients. 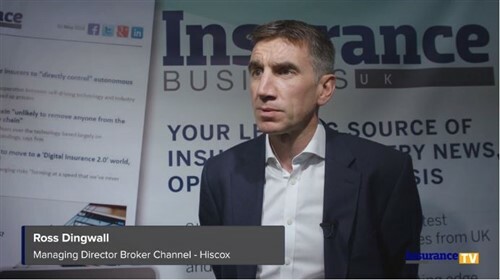 RSA Insurance in the UK reported similar success when it introduced marketing automation in an effort to better segment its audience. In doing so, the company was able to deliver campaigns in a third of the time it had taken previously, while increasing lead generation and more easily targeting individual groups and subsets. Automation is set to become a key strategy for insurers to reach the right clients and nurture the right prospects, all while navigating the highly competitive insurance market. It’s safe to say the future is adaptive, and the insurance sector won’t be an exception. The above was an opinion piece written by Katie Jameson is the head of EMEA Marketing at Act-On Software, a leading provider of marketing automation and one of the fastest growing tech companies in North America. She has previously implemented, integrated and executed programmes on a variety of marketing automation platforms at industry leading companies such as Symantec, Paywizard, and ResponseTap. The views expressed within the article are not necessarily reflective of those of Insurance Business. Insurers v manufacturers: Who’s liable for autonomous vehicle collisions?